"I’ve been doing this 27 years, and the fact that I’m still here and doing records, and getting ready to do another, almost 30 years later, I’m just happy to be here, man". - John Corabi. John Corabi has been on a hooligan’s holiday for almost three decades now. Most famously the front man for Mötley Crüe in the mid-nineties, he’s also worked with members of Kiss and Guns 'n' Roses. Now fronting classic rock revivalists The Dead Daisies, the singer / guitarist is “just happy to be on the ride!” We caught up with John following the Daisies’ Download festival set for a chat about the band, his mooted collaboration with Mötley guitarist Mick Mars, and the ’94 album that just won’t go away. Power to the music; Eamon O’Neill. I’m good. I’m a little tired. I’m not used to getting up this early and singing this early, but we had a great time, a great turnout, and I’m good, man. I’m looking forward to getting back to the hotel and having a nice Jameson on the rocks - that is absolutely what is in order. The Dead Daisies have been on the road for a while now, haven’t you? The Daisies, I think we’re just starting week three, but I’ve been out for a while. When I was home I did six or seven weeks doing acoustic shows in America, so I’ve been a bit busy. Were you doing a lot of the Mötley Crüe ’94 material at those shows? I did. It’s funny, we [The Dead Daisies] had the ‘Live And Louder’ record out this year, and I also have another live album coming out which is the ’94 live thing. I did it because I was out on the road doing those shows when the Daisies called me, and I didn’t think that I was going to be able to do that many more of them, so I just figured I’d do a DVD and throw it out there. For the fans, your tenure with Mötley Crüe just won’t go away, will it? No, and you know, I appreciate it. Honestly, it’s actually gained quite a bit of momentum than when it first came out. I have fans come up to me all the time and they’re like; “I never got to see that”. So it’s coming; it’s called ‘’94 Live – One Night In Nashville’, and it will definitely be out in September / October. What’s it like to be back at Donington with The Dead Daisies? It’s great to be back again. Listen, this is one of the legendary concerts in the world, so just being over here and playing for the fans is awesome. Hopefully, we’ll make enough noise and maybe the next time they bring us over, we can play a little later in the day, and a little longer. I kind of feel like I had the foreplay and then had to leave! The band’s line-up has remained pretty stable for the last couple of years, hasn’t it? Yeah, and I think, you know, in all honesty we love Richard [Fortus, guitar] and Dizzy [Reed, keyboards], and I don’t even think they knew they were going to get that call to come back to G’n’R. But everything’s been awesome with Doug [Aldrich, guitarist]. We did make some noise last year when we toured with him, it’s killer and David [Lowy, guitarist] who started the band is like; “This is the band – this is it”. So, they kind of had their growing period, and now everybody’s set and ready to rock. You mentioned the live release that came out recently. Yeah, it just came out a couple of weeks ago. We recorded that last November and December when we did the UK and Europe with The Answer. We recorded about ten of those shows and put this record together, and everybody that’s heard it, the reviews have been insane. It’s a pretty special package as well, with the vinyl LP and the box set. You know what, that’s one of the things that I love about the Daisies and the management; they get the fact that a lot of these people that are at the show, they’re working people, and so they always try to give them a little bit more for their money. Right when it came out, I bought three copies for some friends of off Amazon in America, and they were delivered and my wife opened it, and she goes; “Oh my god”, because there’s a double vinyl album, there’s another 7” vinyl some covers that we did acoustically, there’s the CD, a DVD, a poster, a parch, and a button, and it was only like $33. It is a great box, it’s a cool box, so we get the whole money thing with the fans, so we’re just trying to give them their money’s worth. I have to ask you about the much talked about Mick Mars / John Corabi collaboration. Okay. So, the thing of it is; it’s Mick’s record. He asked me to sing a couple of tracks for him, and I did, and then we were talking about doing more writing, but unfortunately I’ve been so busy with the Daisies and then my solo thing, that I didn’t want to hold Mick up. So, he’s been in the studio, he’s doing his own thing and I don’t know when the record is coming out. I don’t even know if he’s going to use the songs that I sang on, but I love that guy, and I wish him all the luck in the world. I truly want his solo record to be insane. The Mötley Crüe ’94 album was particularly heavy for the band at that time; what was it like making that record? You know, honestly, we didn’t think about it, we just sat in a room and jammed and that’s what we came up with. I think, looking back at it now, I’m very proud of the record. I think that is a record where everybody; Nikki [Sixx], Tommy[Lee], Mick, myself, [producer] Bob Rock, we all, everybody really stepped up their game on that album. So, I’m really proud of that thing. It was followed by the somewhat schizophrenic ‘Generation Swine’. In hindsight, you’re talking about a band that prior to the record that I did, sold millions and millions of records, and I think when our record came out, everybody panicked. And then, the worst thing that any band could do; I think everybody started to look at what was [happening in the current musical landscape]; “Well, that’s really popular, and that’s really popular”, and then try to incorporate these things into the sound of the band. Nine Inch Nails was really happening, and Marilyn Manson, and I think the guys were trying to go off a little bit in that direction. I didn’t personally ‘get it’. Was it difficult for you when the Mötley Crüe ’94 album didn’t meet commercial expectations? 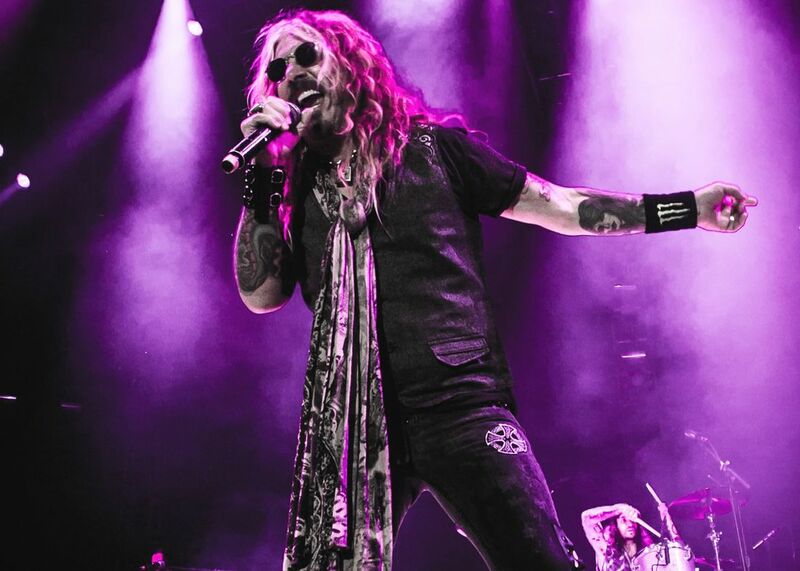 That’s the past however, and looking to the future, what’s happening next for The Dead Daisies? We’re touring all over Europe, then we head to Japan, from Japan to South America, South America to the United States, and then on November 1st we’re back in the studio with [producer] Marti Frederiksen, and then we’re doing a new record. Is it nice to be back working as part of a band, rather than as a solo artist? Well, the Scream was first, then there was Mötley, and then I had a band called The Union with Bruce Kulick. I played guitar with Ratt, and I kind of gave myself a little bit of a mental break, and I did an acoustic album in 2012. I mean, I’ve been out there, but it’s been a blast being with these guys. At the end of the day, we’re just having fun, and I look at it like; The Scream came out in 1990, and I’ve been doing this 27 years, and the fact that I’m still here and doing records, and getting ready to do another record, almost 30 years later, I’m just happy to be here, man, I’m just happy to be on the ride! The Dead Daisies play Woodstock Poland in Kostrzyn on 3rd August. 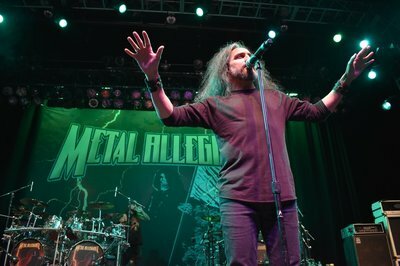 For the latest updates visit the band's official website. 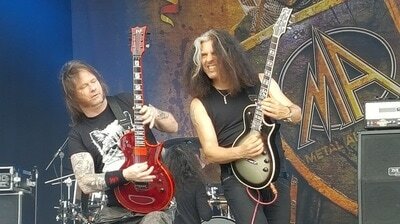 Gary Holt Joins Metal Allegiance On Stage At Bloodstock 2016. 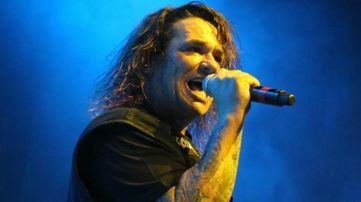 INTERVIEW: Steve 'Zetro Souza On Exodus Through the Years.